Welcome to your home away from home! 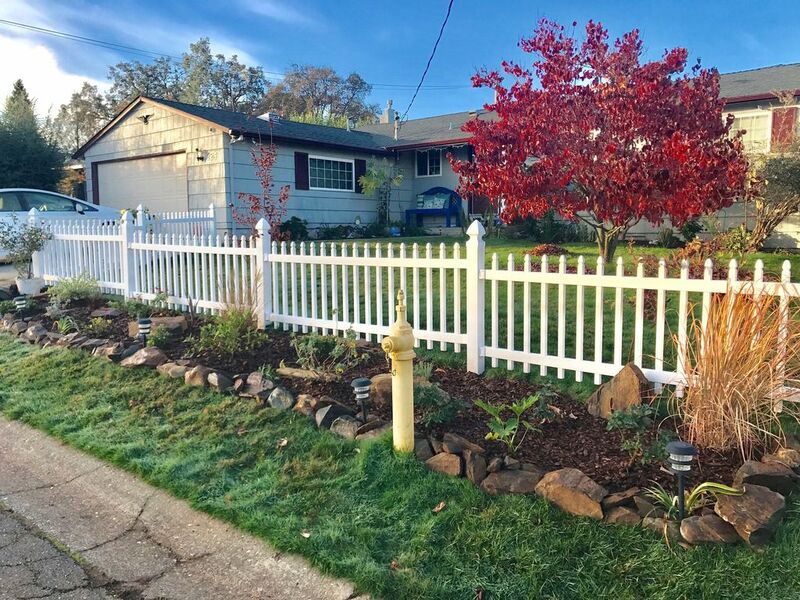 This is a lovely 3bdr, 2 bath country style home with a splash of modernity that is located within short distance to downtown historic Sutter Creek. The fully furnished living spaces are open and inviting and is great for entertainment or relaxation. Enjoy the green pasture from the living and dining room or relax by the pool while taking in the fresh country air. The sunsets are spectacular in the evenings. The kitchen was recently renovated and new hardwood floor was installed throughout the house. The decor and furniture reflects our vision of incorporating new and refurbished materials to create a country living feel. The master bedroom has a queen size bed and private bathroom. The second bedroom also has a queen size bed and the third has two twin beds. There are additional air mattresses to accommodate additional guests. Guest will have access to the entire house, including the pool, except for the garage. We welcome all guests to stay at our place, including family with young children, however, the pool is not gated so we asked that parents exercise great caution and watchful of their children around the pool. We want to make our guests' stay safe and welcoming for all. For guests who loves to cook, our kitchen is fully stocked. Make yourself a home and feel free to use the use the spices, oil, cooking utensil, etc. You're also welcomed to use the grill and we only ask that you to clean up the grill after each usage. The house is located in a quiet and serene neighborhood. We don't have lot of do's or don't do's. We simply asks our guest to respect our place and treat their home away from home as if it's their own home. Please take great care of the place by not leaving hot cups, plates, etc. on the table without a coaster. We don't ask for security deposit because we trust that our guests will be responsible. Also, please be respectful to our neighbors by not having loud music or conversations after 10 pm. Due to our City Lic. we are not allowed to have guest park in the street, or in front of other homes. Only in the driveway. Only two cars allowed per reservations. Please note: That if more cars other then two is reported the city will revoke our city lic. Please respect the rule. The City of Sutter Creek also imposes a 10% hospitality tax that is not included in the quoted rate. Since AirBnB does not collect the payment at time of booking, payment arrangements has to be made prior to check in. We chose this home for the weekend of the bowling tournament and loved every minute we were in this home. All the little touches and views added to the experience. We will be keeping JC's home away from home on our short list. We had great girls weekend staying in your home! This house was perfect for five best friends celebrating 37yrs of friendship. The location was spot on .we hope to be back in the summer. Thanks so much. Enjoyed our time there, went to family wedding and we're able to accomadate our family. Very nice and cozy place, would highly recommend! Great spot for staying after a day of wine tasting! This spot was great! Perfect place to stay for my group and I to go wine tasting in Plymouth. We ran into one of the neighbors upon arrival and they were excited to see a group coming to stay at the house, which was so nice! The house itself is great, beautiful kitchen, nice big dining room area, and great backyard with heated pool! Juan was easy to contact and quick to respond. Thanks for hosting us! A good location for the surrounding area. Many cute little towns and locations to visit within a short driving distance.